Above: Researchers Jeff Buckel and Brendan Runde measure a snowy grouper. Bottom fishing in water deeper than 200 feet for such reef fish as snappers and groupers can have unintended consequences when those fish are released. The use of descending devices is the new thing in offshore bottom-fishing to combat the potentially life-threatening effects on fish brought up from depth. Tagging a speckled hind with a radio transmitter. Anglers and scientists often assume that survivorship of released snappers and groupers captured in deep water is nonexistent, because of pressure-related injuries (barotrauma) that the fish experience in which internal gas expansion prevents them from re-submerging on their own. For many years, venting — puncturing the swim bladder to release excessive air — was the go-to method for decompressing deepwater reef fish prior to release, but more recently the use of descending devices has emerged as the preferred approach. These devices allow anglers to rapidly return a fish to depth so that expanded gases quickly contract, without causing a flesh wound. Despite administering some tests to other species, researchers have never evaluated survivorship of deepwater groupers that were recompressed and released using descending devices. 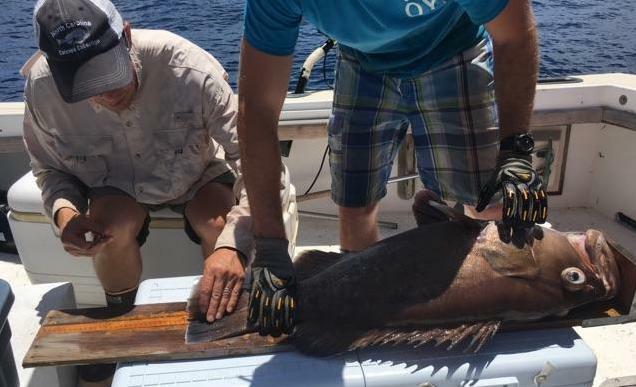 Three species of deepwater grouper were the focus: scamp, snowy grouper and speckled hind. 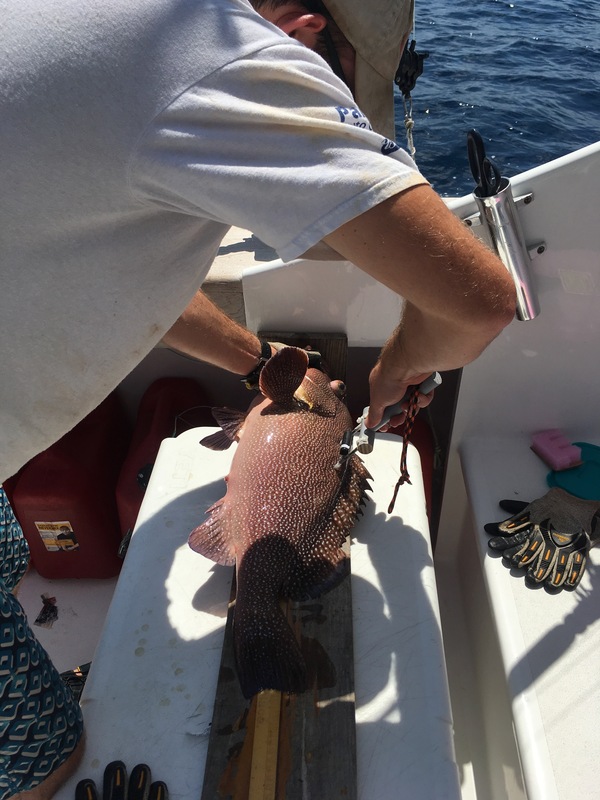 Researchers at North Carolina State University caught 19 groupers by traditional hook-and-line, fitted each fish with an ultrasonic telemetry tag — a small radio transmitter — and released each at depth using a SeaQualizer descending device. Next, they tracked short-term movements of the fish using electronic receivers. Each tag had a unique identification number and transmitted direction, speed and depth in real time. The scientists then produced an estimate of survivorship at the end of the two-week observation period. Researchers estimated survivorship at 50% but noted this calculation was very imprecise; there was a strong possibility that the rate of fish survivorship was between 10% and 90%. The precision of the estimated survival would improve if more fish were tested using this methodology. In this study, the survivorship estimate likely was biased on the low side, because, for methodological reasons, scientists had to assume that no fish shed its tag during the study. However, some tag shedding commonly occurs in studies like this. Regardless, the researchers’ estimate is much higher than the 0% survivorship that managers often assume for these species. Studies like this are valuable in that the results they generate likely will directly influence mathematical stock assessment models used to describe the health and status of these species. Those assessments tell us a lot and ultimately allow scientists and managers to determine how many fish we can catch (or release) without adversely impacting the resource. 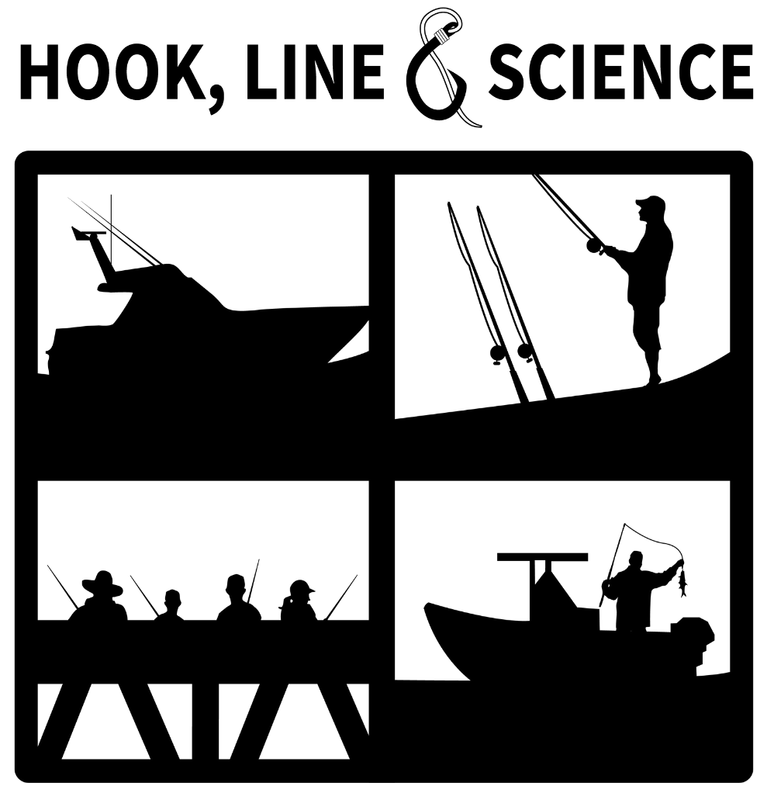 The text from Hook, Line & Science is available to reprint and republish at no cost with this attribution: Hook, Line & Science, courtesy of Scott Baker and Sara Mirabilio, North Carolina Sea Grant. « How Are Blue Catfish Infiltrating New Waters?